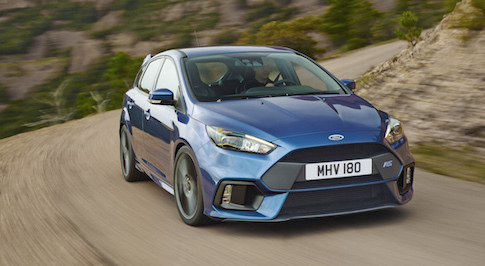 Ford has created an eight episode, behind-the-scenes documentary on the development story of the all-new Focus RS performance car, which sees the tough car face the rigours of environments from the Arizona desert to the Arctic circle. "Rebirth of an icon" claims to be a 'warts and all' expose that covers every stage of the vehicle's evolution and proves that this hot hatch is as tough as the American carmaker's SUVs. The first of the eight, weekly episodes will kick off on 30th September, with an early prototype being reviewed by Gymkhana superstar, Ken Block and Ford's group vice president for Global Product Development and chief technical officer, Raj Nair. Raj commented: "The Focus RS is a unique performance vehicle with an incredible heritage. This creates enormous expectation and intense pressure that demands teamwork, sheer determination and a single-minded focus on delivering the ultimate Focus. This access-all-areas documentary perfectly captures what is at times a bumpy ride."